You don’t have to go bankrupt if you’ve missed your teeth. You need to get them fixed in another country and save money instead. With affordable yet effective dental services, Iran’s considered as one of the best dental tourism destinations in the world. So, what are you waiting for? Dental crowns in Iran: all you need to know? 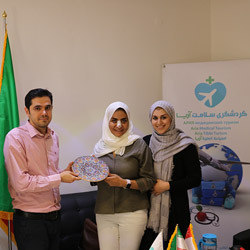 While many people are traveling to Iran to visit the ancient land of Persia, some are choosing this country as their dental tourism destination. This is because the country brings many advantages in this regard to the table. These include, but are not limited to, high-quality dentistry services, low prices, and proficient dentists. For dental crowns, this country has emerged as an unbeatable rival in terms of cost and efficacy. That's why we dedicated this post to explain all you need to know about dental crowns in Iran. Dental crowns (or tooth crowns) are basically prosthetic fixed devices adjusting into existing teeth or implants by a prosthodontist or a dentist. Crowns or caps cover and restore a damaged/broken tooth or implant. Besides strengthening the tooth, a crown improves the appearance, shape or alignment of your tooth. A crown can also be placed on top of an implant to provide a functional tooth-like shape and structure. You've got a dental implant which needs a crown placement. Why Iran for getting dental crowns? Iran has an excellent reputation in offering dental procedures to patients from both the Middle Eastern and western countries. The country attracts many people for the high standards of dental procedures which cost a fraction of the price in other countries. 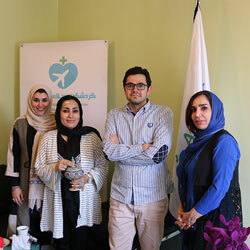 According to government officials, there are currently 25,000 active dentists offering various dental services in Iran. Well-equipped private dentistry clinics are present across major cities of Iran which make use of the latest technologies and equipment to provide the most effective treatments to both national and international patients. Dentistry clinics in Iran, indeed, are no different than the clinics you'd see in many developed countries. How is a dental crown done in Iran? At first, the dentist applies local anesthesia to the underlying gum of the damaged tooth. Then, the tooth shall be prepared to receive the crown. To this end, the dentist may file down and rub the tooth to prepare it for the crown placement. If the cavity or decay does not leave any structure to be covered, the dentist will create a crown base first. After the tooth is ready, the dentist makes an impression of it. The impression is used for creating a suitable crown. After this session (after 2-3 days), you'll receive the crown. In this step, the crown will be placed and cemented on top of your tooth. Typically, you will get the crown within 2 sessions. Every session takes about 1-2 hours. For the whole procedure, you'll need to stay in the country for about 3 days. These crowns can be matched perfectly to the color of your natural teeth. So, they are used when a front tooth is damaged. Porcelain bonded to a metal shell is a great option when both the strength and beauty are desired. These crowns provide more strength compared to that of a porcelain crown. Although the low price of resin crowns may catch your eyes, you need to know that resin is prone to fracture and decay. So, they will wear down as time goes by. 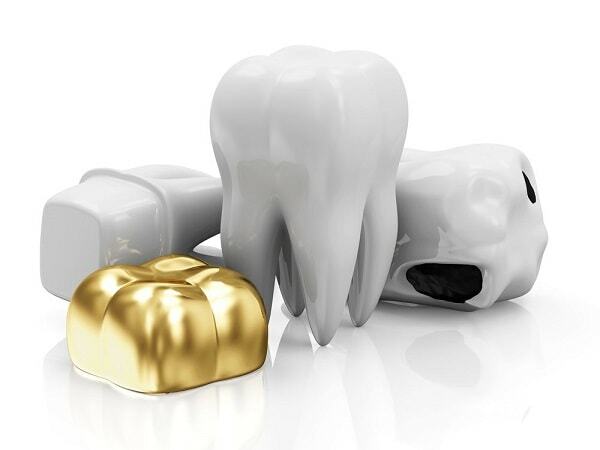 Other materials used in crowns are gold and metal alloys. These alloys are generally stronger than porcelain. They do not wear away the underlying gum tissue over time. However, their color is not desired by many. So, they are used/recommended for back teeth. 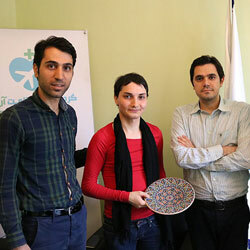 Dental crowns in Iran cost from around $120-$200. This price includes all the related fees including the anesthesia, dentist's visits, etc. Getting teeth crowns in this country, you'll be able to save from 30% up to 70% of the cost you'd pay for the same procedure in other countries. For example, a dental crown, depending on the type, costs from $800 to $3,000 in the US. The same service costs up to $2,000 and $2,500 in England and Australia, respectively. There's a short period of recovery after getting a tooth crown. You'll feel numbness around your tooth for some hours after the placement. You may experience some degree of pain and discomfort for a few days following the procedure. There's sometimes bruising and swelling at the affected spot. Irritation is also normal. All these signs will subside within a few days or a week. You should avoid chewing hard foods, like ice or other hard objects to prevent damage to your new crown. Do not open nuts like pistachio with your teeth especially when you have crowns on implants. You should keep your gums and teeth healthy by brushing them with fluoride toothpaste three times or twice a day and flossing them almost daily. For doing the checkup and other professional services you need to see your dentist regularly. While crowns cover a damaged tooth or dental implant, bridges cover and fill in the gap made by a missing tooth or the space between two crowns. The bridge is kept in place as it's attached to the neighboring teeth or crowns. Unlike removable dentures, bridges and crowns cannot be removed except by a dentist. As with crowns, you can have a variety of choices for the materials for bridges. Your dentist will help you decide which one is more preferable for you, depending on the location of the missing teeth, personal and dental condition of each patient and the budget of the patient. Crowns will last for a long time (more than 15 years). In some rare occasions, they may get loose or fall out of the position. The most important thing you need to consider to prevent this problem is to have good oral hygiene. Teeth crowns are not painful. You may feel some levels of pain and discomfort only for the first days after crown placement procedure. Are there any complications associated with a dental crown? There’s a side of complications for all procedures. For dental crowns, complications include continuous sensitivity (e.g. to air, hot or cold foods or drinks), pain when biting, crown detachment from an implant, crown breaking, and gum disease (resulted from poor oral hygiene). These problems do not regularly happen and can be controlled if observed. Can chipped crowns be repaired? Chipped or broken crowns can be repaired by your dentist. The procedure depends on the type of damage and the crown itself.